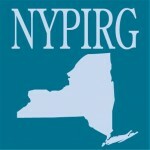 The New York Public Interest Research Group (NYPIRG) is New York State's largest student-directed research and advocacy organization. NYPIRG's Higher Education Project works on a federal, state, and local level fighting for access to an affordable higher education. NYPIRG's #ReformNYTAP Campaign is working to #MakeNYCollegeAffordable by protecting, restoring, and expanding the states Tuition Assistance Program (TAP). Students from across New York State have been working with NYPIRG's Higher Education Project for over 40 years fighting against tuition hikes, high student loan debt, public disinvestment and more!